Being over six feet tall, and also being plus size, I have massive feet. They never look massive, they look totally in proportion. They are wide as well, and pudgy. 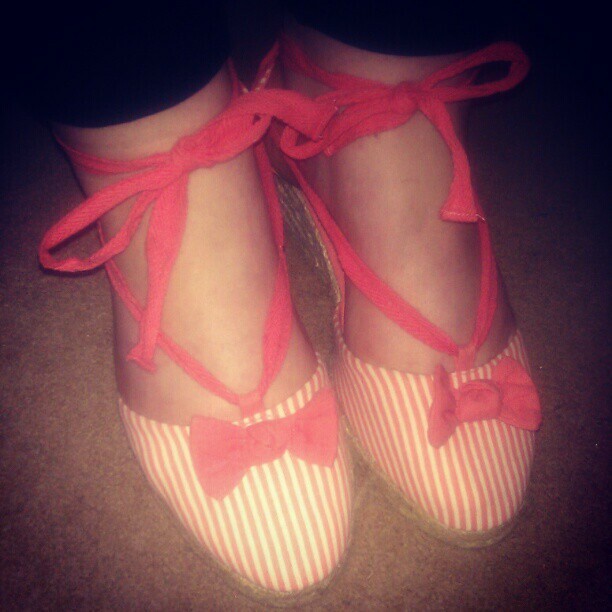 I used to have massive problems finding shoes that fit and also didn't look like some clarks corrective kitten heals. Evans used to sometimes have the odd amazing shoe, that I would buy and then wear to death. Probably getting on for seven years ago now, I could only buy leopard print ballet flats on ebay in a size 9 for wide feet. Then Evans kind of got with it and started doing some shoes that resembled ones in "normal" shops. They still didn't really represent the ~alternative shoes that I wanted though. Then New Look did something amazing. They opened their wide fit shoes, and then made size 9's a standard size. The world of cheap disposable shoes had opened up to me, I could get brogues that weren't mens (a massive stigma I have that I should probably lose) I could get decent ankle boots in nice colours and not massive kitten or stiletto heels! And all this for under £20.00. Larger Primark stores also opened a wide fit, and I managed to get affordable biker boots in a 9 in wide!!! For the past 3 or so years I have been in shoe heaven, and it has felt good. Until now. 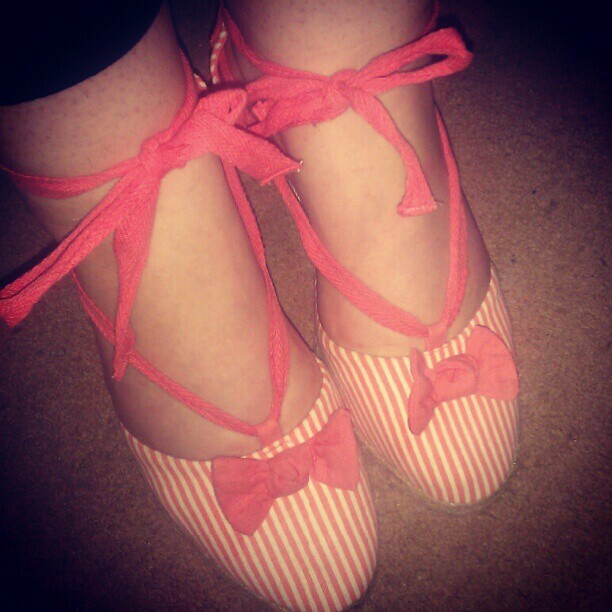 Having been on a self imposed shoe and clothes ban since Christmas, I hadn't really needed to look for any shoes. But having a bit of spare cash recently, and knowing my holiday is coming up, I decided to look for some shoes in New Look. I had looked a few weeks ago and they seemed to be lacking on the size 9's, but then in my experience they always do, I don't know if this is because they stock less of them, or because more people actually have massive massive feet. I guess the second, because in "regular" non fat sections of clothes shops, 16's and 18's always go really quickly. I imagine because some other fat girl without a want to look wear floral sacks has got there before me. So I had a really good in depth look, I didn't want to admit it, but I knew deep down they had stopped doing 9's. I knew because they had stopped online as well, but I just couldn't admit to myself that I was going to have to go back to disgusting shoes from Evans. Y U NO DO SIZE 9'S NEW LOOK Y? Having massive feet and having to go to a special section (although quite well integrated New Look I give you that) reinforces the fact that I am not a highstreet "normal". I am too fat and too tall for clothes made available for everyone else. Now the only clothes shop on the highstreet that I visit nowadays have destroyed the feminine feeling I used to get of buying pretty shoes like MOST PEOPLE. This is not a luxury for most, this is normal shopping experience. Now, in total honesty, they have made me feel less of a woman, a feeling that I get most times I go shopping. 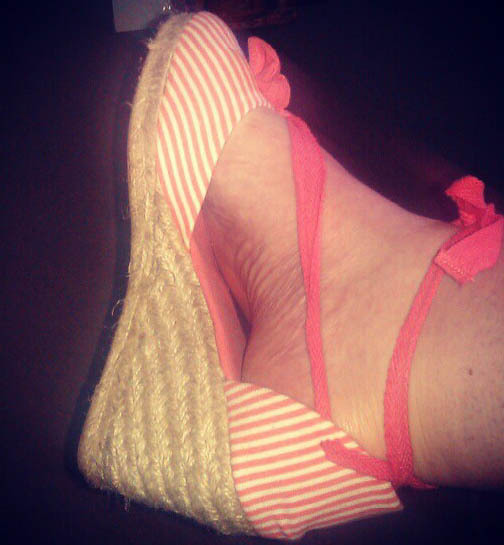 All I was after were these new look stretchy wedges, 2.5 inches high and a bargain at £15.99. Now I could have forced my foot into an 8, and hope fully with some further weight loss this will happen, but er why should I have to?! 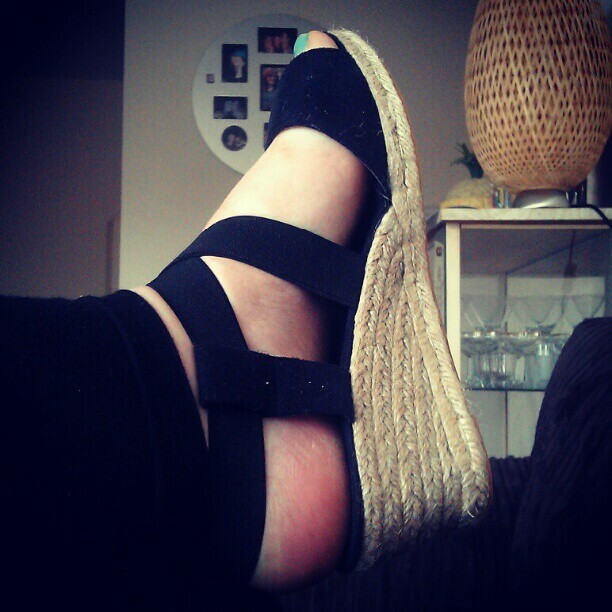 But I chose not to, as these will be my staple sandals on holiday and throughout the summer. So I had to buy these Evans versions in a 9, which are a bit higher and £10 more expensive. Neither of these things I want. Yes, both are very similar, so why should I have to pay an additional tenner (plus P+P!) for just one size bigger? New Look are still showing size 9 as an option on their website, but I am unable to find ANY in that size. I just hope maybe this is something they have phased out in smaller stores, and I will have to make extra trips to places like West Fields or the West End to find fashionable fat shoes. If anyone has any information about this, please let me know! I never get asked questions on blogs that I know the answer to...but I have a semi-answer for this one! I went to Cambridge New Look on Saturday and they had tons of size 9s, and loads of current styles (ie sandals etc, not sale), which makes me think they definitely still do them. I only noticed because I can usually spot my size on sight (8), but kept getting thrown off because there were so many 9s in the racks (I was basically that day having your issue but a size smaller...). That said, I remember reading a few months ago that you live in Hertfordshire, same as me, so a trip to Cambridge is probably equi-distance/effort as a trip to London. Anyway, maybe it gives you hope that they're still doing them...there's nothing more irritating that discontinuation of staple stuff.